Hurray for King County Our Voice Does Matter! As an advocate for the humane treatment of animals in King County, I wanted to make sure you had heard that the Metropolitan King County Council voted unanimously on April 28th, 2008 to approve nearly $1 million in one-time funds for immediate upgrades at King County animal shelters. I was pleased to vote in favor of Ordinance 2008-0224, releasing this funding. · Independent oversight of shelter operations by the King County Auditor’s Office. This action will immediately help save lives and provide hope for the animals in King County’s custody. As you know, in recent years the Metropolitan King County Council has been taking proactive steps to comprehensively improve King County animal control, care, and enforcement against cruelty. Thanks again for your ongoing advocacy for animals in our community. They are on record, lets help keep them there!!!! Thank you for writing me! I have received so many calls and emails about the King County animal shelters that, in order to provide you with a timely response, I’ve compiled all the recent information below. If you asked me a specific question about animal shelters, I will respond to you individually as well. Thank you for your interest in this issue, and your passion for the animals in our care. · Create partnerships with volunteers, fosters, rescue groups, stakeholders, and the media. Starting this week, local veterinarians will offer their services to help provide medical care for the animals at King County’s two animal shelters. We will develop long-term strategies to improve the conditions at the animal shelters, but the animals in our care today need our help as well. Our generous community of veterinarians is ready to help and we are now calling them in. Within the next month, the shelters will receive new cat cages, dog runs, and continued operational reforms starting immediately. These measures will help alleviate the shelter health crisis and prevent future overcrowding and suffering while the County moves forward with longer term strategic plans. In addition, more and better trained staff will be scheduled during the peak animal population months during the summer. An additional veterinarian and a veterinarian technician will be brought on to provide ongoing medical care and spay/neuter services. The Council and the Executive reached an accord. Funds will be invested to reduce crowding and the spread of disease at shelters in Kent and Bellevue. These shelters house approximately 13,000 stray, abandoned, and neglected animals each year. Funding will come from existing public donations in the Animal Benefit Fund, new Capital funds, and money redirected from the County’s capital improvement funds. An inter branch work group is being assembled to analyze critical shelter functions. This group will provide recommendations on how the County should provide animals services in the future, if at all. After a complete public process, the Council will review and decide whether or not to adopt these recommendations. Ultimately, we will ensure the animals in King County’s shelters receive humane treatment with better care and medical services. A collaborative effort by the Council and the Executive has produced an agreed upon set of values showing our commitment to working together as branches of government in making King County a stronger and more humane place to live. If you have been thinking about adopting a kitten, cat, puppy, dog or other animal, we would like to ask you to visit the shelters and find your pet. Help our animal friends – take a pet home from the shelters! If you have any questions or comments, please email me, julia.patterson@kingcounty.gov. My Name Is Caden, I You Know You Want Me!! I deserves a great home or foster! I am desperate. I have come from nothing and done so well and due to unforeseen circumstances in their own life, my foster parent could not keep him. He is a VERY loving boy and responds to many commands. We want to ensure he continues to get training. Can you help?? To save Caden from going to a shelter and most likely being put down, he is currently being boarded at Rainier Vet. Please understand that Caden does not do well being kenneled and we are concerned he will start to mentally and emotionally deteriorate. We urgently ask for a foster to please step in. He has become accustomed to home life and has blossomed from it. Assistance is also needed with the boarding costs so he won't have to go to the shelter. The charge is $20.00 per day. Judith at sandjswanson@juno.com is handling and monitoring donations that will be applied towards his boarding which we hope won't be for long. You may either donate directly to Rainier Vet (under Caden) by calling them at 206 324 4144 or please contact Judith to make arrangements about sending payments. Any amount will be greatly appreciated. Thank you very much. Gunner is as sweet as can be. He really needs and deserves a loving home. 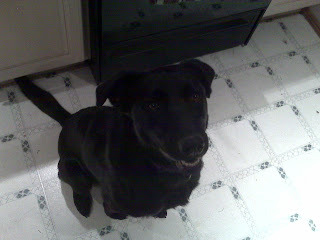 Where he lives now, there is no time for him and his owners know they must do better for Gunner. 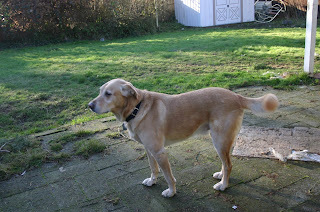 Gunner is a neutered, five year old yellow lab, who likes most other dogs. He likes cats a bit too much thus not a good mix. He is great with kids of all ages, very playful and sweet. Knows several commands. Is updated on his shots. He would love an owner willing to help him continue to bond and learn. Prior to this owner, he was in a bad situation and while he has come nearly all the way, does get afraid of loud noises. PAW LUXURY AT YOUR FINGER TIPS! I just love when I get a call from a locally owned pet store. They are in the business because their special pal inspired the desire for the best! Well Paw Luxury is that at its' finest. What a wonderful store in PA that is now available online! That's right. Just a click of the mouse and you are in the green zone. 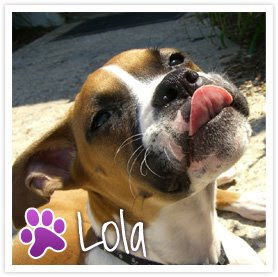 Evolving from the overwhelming love of our beautiful, loyal, carefree, lovable and cuddly boxer named Lola, Paw Luxury was born. As proud parents we wanted to give Lola the best nature had to offer but found it difficult to find eco-friendly products under one roof. So we went sniffing with Lola, searched high and low and dug a few holes along the way. Then we thought to ourselves why not create a one-stop online destination that caters to the need for healthy alternatives. We wanted to remain true to the motto "healthy dog, healthy earth, happier life." This idea, now a reality, was to sell products that both us and Lola have come to love; products inspired by nature with the everyday dog in mind. But we didn't want to stop there, we wanted to strive to offer products sourced and manufactured primarily in the USA, while treading lightly and making a contribution to better the world and the people in it. 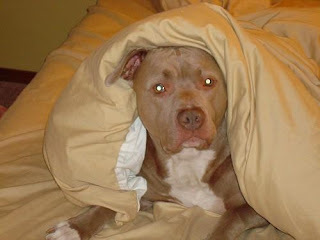 Our name, Paw Luxury, is inspired by the commonality that pets and humans in a sense both have paws that need love to. We define "luxury" as your dog living the good life, it's all about wellness with some pampering thrown in. We believe you can fuse green living with the cachet and comforts of luxury living-for a healthier life now and for future generations. We believe in offering products that will promote the overall well-being of your dog while at the same time bringing you and your dog closer together for a happier, longer life. We give 110% service to our customers to make sure their tails are always wagging and you are always smiling. We strive to utilize green, sustainable, or recyclable materials in our day-to-day operations, because we believe you can have the best of both worlds: pampering your dog and saving the environment at the same time. I love that we are a part of Paw Luxury and now you can be too! Have fun virtually shopping, get everything you need and help leave a lighter foot print in your daily routine. Now we need to help Paul. This is a special one for two reasons. Her current owner, Paul started as a client and now he's a good friend. 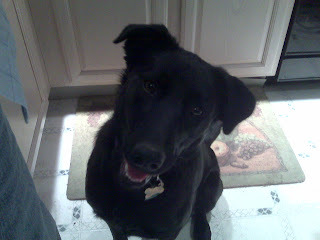 He's a sweetheart of a guy and took Miley in from Ginger's Pet rescue last summer. She's ok with cats, one of mine she has no problem with, the other she likes to chase (I think mostly cause the other cat is a little afraid of her and runs away). She really is a great dog, I just don't have the time to spend with her any more and I don't feel like she's getting the best life from me. I hope that she can find a new home and a new buddy to run around with.Miley has been through private training with me and also a group class. She's incredibly smart. She goes to doggy day care a few days a week and does really well! Please contact me Paul Trackwell at trackwell@gmail.com.